Millions of pensioners are missing out on their share of up to £5bn worth of state benefits. Many older people look forward to a comfortable retirement but a lack of cash can sometimes make the reality very different. Rising living costs are hitting many older people particularly hard. Age Concern's research shows that over half of pensioners are cutting back on basics such as food and energy in order to make ends meet. Pensioner poverty rose last year for the first time in over a decade with up to 2.1 million pensioners now living below the government's poverty line. Yet many pensioners could boost their income, and improve their quality of life, by claiming the benefits they are entitled to. Almost half of all pensioners are entitled to extra cash through pension credit, yet a third of those entitled are missing out on this benefit alone. Pensioners are missing out because they are worried about the complexity of the process, are embarrassed about claiming or simply do not know they are entitled. Pensioners are more likely than any other group to miss out on benefits. Each year billions of pounds in benefits cash lies unclaimed by older people. Pension credit has two elements: the guarantee credit and savings credit. 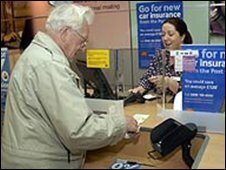 The guarantee credit can be claimed by people who are aged 60 or over, while the savings credit can only be claimed by pensioners who are 65 or over. This guarantee element tops up the income of single people up to a minimum of £124.05 a week in 2008/2009 and couples up to £189.35 a week in 2008/2009. The levels can be higher in some circumstances - for example for some disabled people and carers. You do not need to have paid National Insurance (NI) contributions to qualify but your income and any savings and capital over a certain level are taken into account. The pension credit also goes a step further and provide extra cash for people aged 65 and over who have made moderate savings for retirement. You can telephone to make a claim or to get a claim form by calling the pension credit information line on 0800 99 12 34 or visiting the Pension Service website. Age Concern has more facts and figures about pension credit in its free factsheets "a brief guide to money benefits" and "making the most of your money". Many older people find council tax a major drain on their income. However, council tax benefit, which can reduce your bill, is the benefit pensioners are most likely to miss out on. It can be claimed by homeowners as well as tenants - the value of your home is not taken into account. Housing benefit helps with rent, certain service charges and, in Northern Ireland, with general rates. These benefits are based on your income and savings. Other factors such as people in your family, whether you are disabled, and the level of your rent and council tax may affect the amount. Currently up to 2.1 million eligible older people miss out on council tax benefit, resulting in up to £1.5bn remaining unclaimed each year. The average amount unclaimed is £690 a year. Up to 350,000 eligible older people are not claiming housing benefit, which could reduce their rent by an average £39.50 per week. If you apply for pension credit you should be asked if you wish to claim these benefits as well, otherwise contact your local authority. Age Concern's fact sheets also give information about housing and council tax benefit. People aged 65 and over who are physically or mentally ill or disabled can get extra cash to help with the extra costs related to their condition. These benefits are aimed at people who need help with personal care and if you receive it you choose how you spend it. Attendance allowance is not related to income or savings and is paid at two different rates: £44.85 if you need help in the day or night and £67.00 if you need help during both. There is no upper age limit but if you are under 65, you should apply for disability living allowance instead - this can provide extra money for people with care and/or mobility needs. Age Concern's fact sheets give more information about attendance allowance and disability living allowance. Department for Work and Pensions (DWP): you can go to its website to download claim forms for some benefits, obtain leaflets, publications and other information including details of your social security office. The pension credit information line is 0800 99 12 34. Age Concern: most areas have a local Age Concern which may provide benefits information. Alternatively you can get free fact sheets from Age Concern's information line on freephone 0800 00 99 66 or from its website. Age Concern also publishes a range of finance-related publications including Your Rights which are available from 0870 44 22 120. Citizens Advice Bureaux: these provide advice and information on all kinds of subjects. Find your nearest in the phone book or library. Local Authority/Council: you will find the address of your local authority in the phone book under the name of your county, unitary authority, metropolitan or London borough, or ask at your local library.